Codan Consulting has been appointed as the official booking agent for the EBJIS 2019 in Antwerp, Belgium and will be happy to assist you with your room reservation or other related arrangements. Below you can see the list of selected hotels. 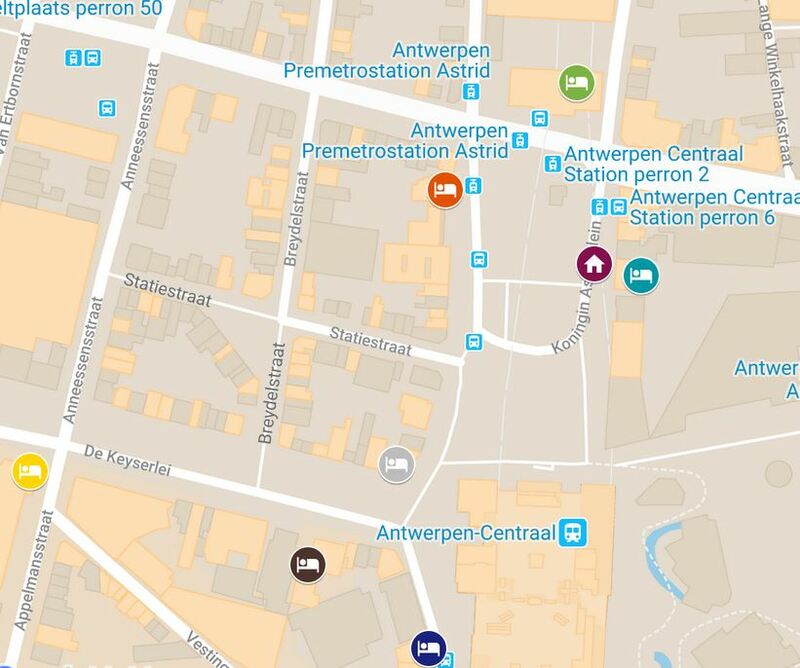 Map with the hotel location as well as the conference centre (Flanders Meeting & Convention Center Antwerp) can be found here. For GROUP bookings (more than 5 rooms) please send us your inquiry to katerina@codan-consulting.com and we will send you a proposal. When you click on the hotel name you will see a short hotel description. If you are interested in more details about the hotel, you can either check the hotel website or contact us. When you have chosen your hotel, select it by clicking on the circle next to the hotel on the left side and click “next” at the bottom of the page. You will be directed to the booking form. Payment for the accommodation via this website will be immediate if you decide for credit card payment, if you choose payment by invoice/bank transfer - you will receive confirmation email with deposit / proforma invoice to make the bank transfer. Offered room rate includes accommodation, breakfast, VAT and city tax if not specified differently below. Full pre-payment of your room reservation is required prior to the arrival. Please check the general payment & cancellation policy before making your room reservation.